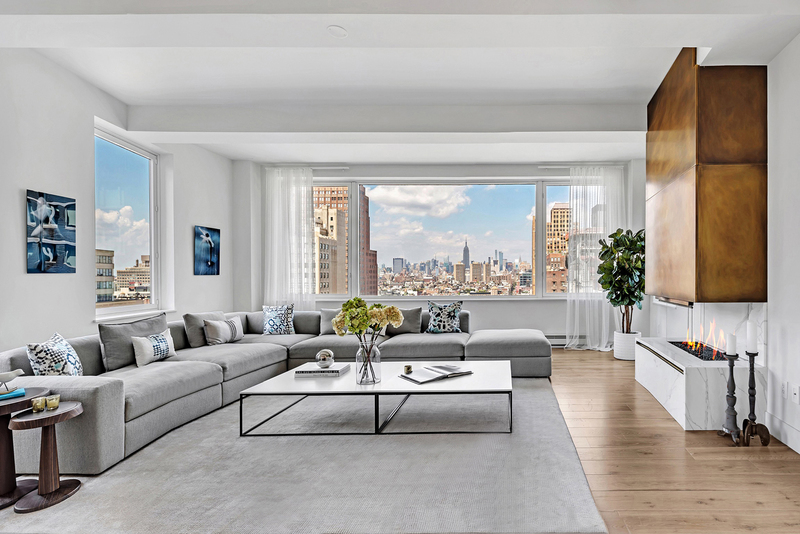 Offered at $7,950,000, this 4-bedroom, 4.5-bathroom penthouse offers a 640-square-foot terrace and boasts unobstructed, panoramic Midtown views to the north as well as southern, eastern and western exposures. Situated in Tribeca, 93 Worth Street’s original, grand vaulted lobby features perforated Corian panels inspired by the neighborhood’s historic textile industry. Be sure to stop by this Sunday for a tour of this exquisite home!